Our 5 piece table and stool set is compact, stylish and practical for everyday use in a contemporary home. The durable and lightweight set is made from steel and given a chic chrome finish that will glisten in the light. 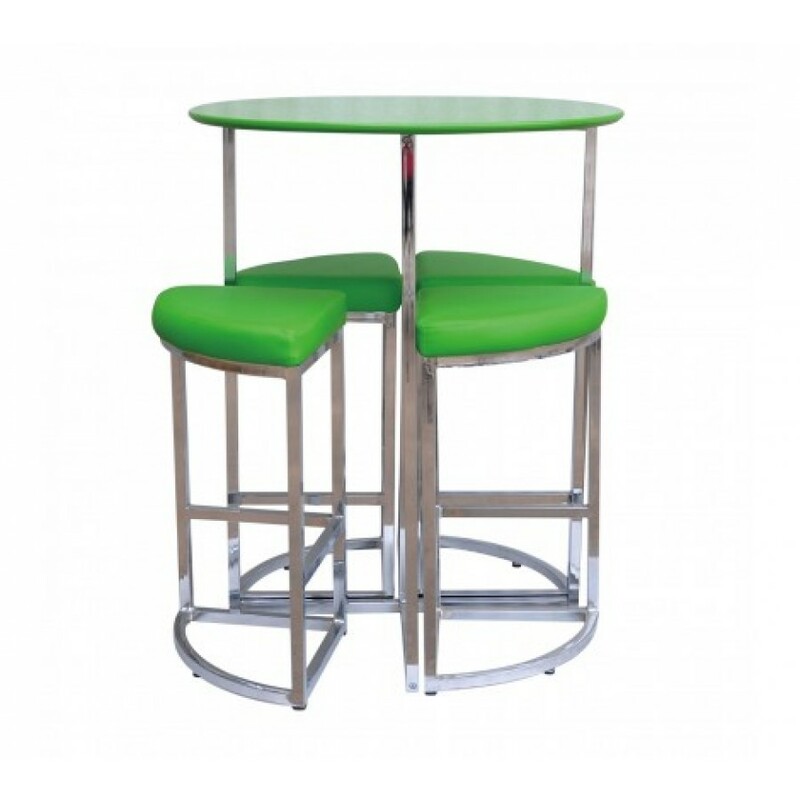 The table top and seat are finished in a vibrant lime green bringing a colourful touch to your living space or kitchen. The four wedge shaped chairs nest under the table for compact storage when not in use. A padded seat ensures comfort when sitting while a footrest will give you added stability. The smooth and solid MDF surface top is perfect for placing your food and drink on making it ideal for sitting at during breakfast, lunch and dinner. Ideal for a modern room where space is at a premium, the functional and eye-catching 5 piece table and stool set will provide style and comfort for everyday dining.